ZAVKHAN PROVINCE, Mongolia – “Y-Peer saved my life. For that, I am so thankful,” says Oyuka,* recalling a time when she contemplated suicide. That was before Enkhbat, an educator with the youth peer education programme Y-Peer, reached out to her and saved her life. In Mongolia, like in many places around the world, adolescence can be a challenging and isolating time. Confronted with fast-paced economic and social changes, many young people are leaving their families behind and moving to cities to pursue their education and find jobs. In an effort to help address some of the challenges they face, UNFPA, the UN Population Fund, is supporting youth-to-youth initiatives like Y-Peer to reach out to the most vulnerable and marginalized youth. Y-Peer educators – young people trained in outreach and counselling – go out into communities to provide support to fellow youth, not only helping to educate them on various issues related to their well-being, but sometimes also saving lives. With support from the Swiss Agency for Development and Cooperation, UNFPA initiated an innovative Y-Peer campaign, New Friends, in 2013. The campaign encourages Y-Peers to reach out to young people who may be lonely, struggling with classmates, dropping out of school or marginalized in any other way, to build lasting relationships and improve their lives within their communities. While rural families usually have access to middle school, students of high school age often have to relocate to provincial centres if they want to pursue their education. In this context, networks like Y-Peer offer invaluable support as these youth face daily challenges and responsibilities far away from their families and communities at a particularly vulnerable age. Enkhbat joined Y-Peer as an enthusiastic volunteer, eager to make a difference as part of the New Friends campaignto in his province of Zavkhan. After receiving his training, Enkhbat noticed that one girl sat alone in the schoolyard day after day. She was despondent. Living in a dormitory far away from home, Oyuka struggled with personal demons. Her mother was very sick, and her classmates were bullies. She was worried about her mother, but an ongoing conflict meant they never talked. It was eating her up inside. 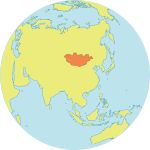 According to a 2013 Global School-based Student Health Survey, more than 26 per cent of students in Mongolia had experienced bullying in the previous 30 days, and 23 per cent of students “seriously considered attempting suicide in the past 12 months." But Enkhbat continued to write. “Don’t be sad, my friend. We can talk. If you have something that you don’t want to share with others, you can tell me. I won’t tell anyone, I will keep it to myself,” he said. Letter by letter, trust was built. As the threat of suicide increased, Enkhbat suggested visiting a doctor at the Adolescent Friendly Health Centre. Though she was reluctant at first, Oyuka eventually agreed. Slowly, Oyuka’s confidence and outlook on life improved. The bullying stopped, as well. The New Friends initiative is part of a broader Youth Development Programme implemented by UNFPA, which assists the Government of Mongolia's efforts to strengthen the resilience of vulnerable young men and women grappling with rapid social and economic changes. Focusing primarily on youth in urban areas, the programme strengthens youth-friendly sexual and reproductive health services, education to prevent gender-based violence and life-skills training. It also improves young people’s involvement in decision-making processes. *All names have been changed to protect people’s identities.